/BigMIND /Troubleshooting /Is Zoolz able to backup long path files? 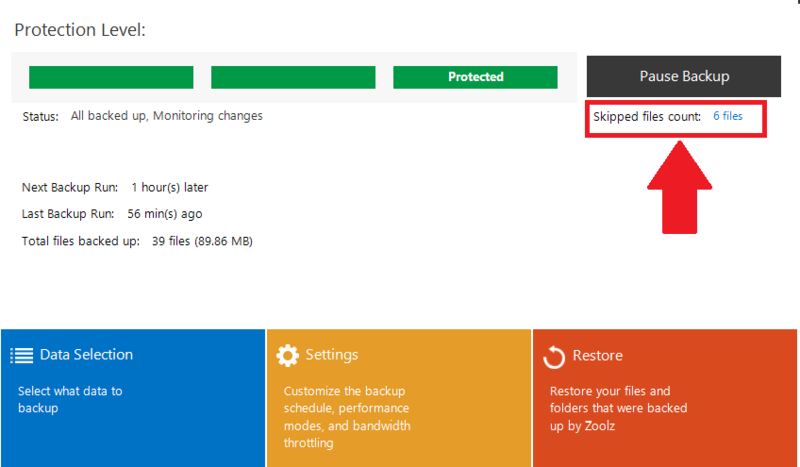 Due to the OS limitation, Zoolz/BigMIND cannot backup the file which its path has more than 250 characters. Such files will stay in the Skipped Files list of Zoolz/BigMIND. 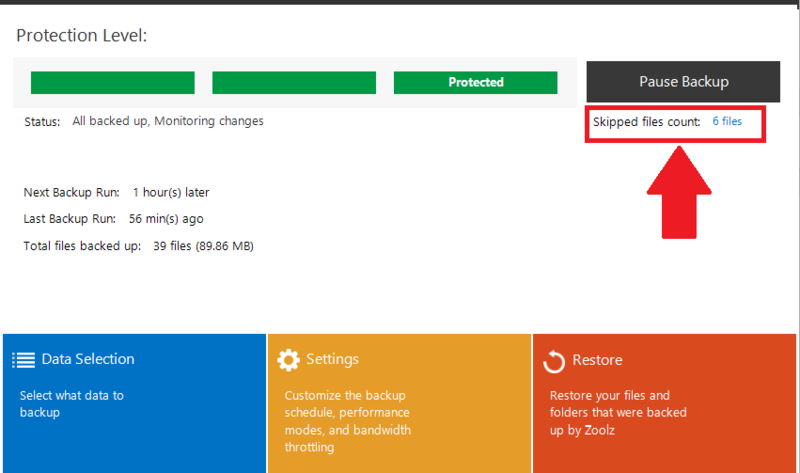 In order to be able to backup such files using Zoolz/BigMIND, you will need to find a way to shorten their path.